Kindly note that after 1 November 2018 it will no longer be possible to apply for this toolkit. Granted projects can use the material for the full duration of the 12 months exhibition rights but no longer than 31 December 2019. This toolkit contains instructions for printing, presenting and promoting the Swedish Dads photo exhibition and can also help you create relevant activities that highlight equality and fatherhood. The road to an equal society starts in the home. Sweden has one of the most generous system of parental leave in the world, enabling fathers to stay at home with their kids, despite that only 14% choose to share the parental leave equally. 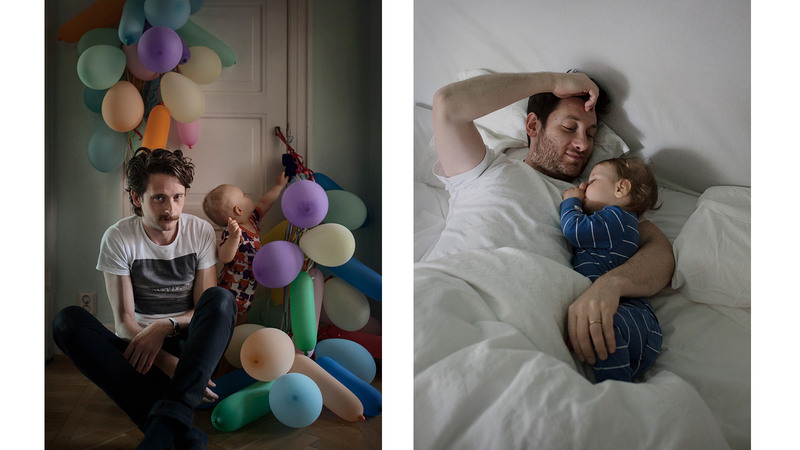 The photo exhibition Swedish Dads by photographer Johan Bävman portraits 25 fathers on parental leave and their views on the role of the modern man. Please note that the images may not be used in any other context than the exhibition. The Swedish Institute (SI) have acquired the rights to convey production rights of the exhibition to Swedish foreign missions. Application is done by filling out the application form. Please note that only two selected images may be used as press images (see presskit below)! If you wish to use other images from the exhibition in marketing or press you must contact SI first. Swedish embassies and consulates may apply for financial support of maximum 40,000 SEK for production of the exhibition (including production of a local addition), language translations and travel costs and remuneration for Swedish guest speakers. For more information, contact Michael Skoglund.